National park bosses are on the lookout for families or groups prepared to ‘adopt’ a section of a national trail. The North York Moors National Park Authority is seeking volunteers to look after stretches of the Cleveland Way. The authority said it is keen to recruit a number of new volunteers to the Cleveland Way adoption scheme which was established two years ago to help maintain the 109-mile (175km) national trail, enabling visitors to continue enjoying the landscape and surroundings as they traverse the North York Moors. Several sections of the trail, between 2.2 miles and 6.8 miles, are up for grabs, with adopters expected to commit to a minimum of three patrols each year to report on the condition of the trail, record wildlife sightings and carry out basic maintenance such as litter picking, cutting back vegetation and clearing blocked drainage channels. The park authority said groups such as Scouts and Girl Guides would be ideal adopters, as well as family groups. 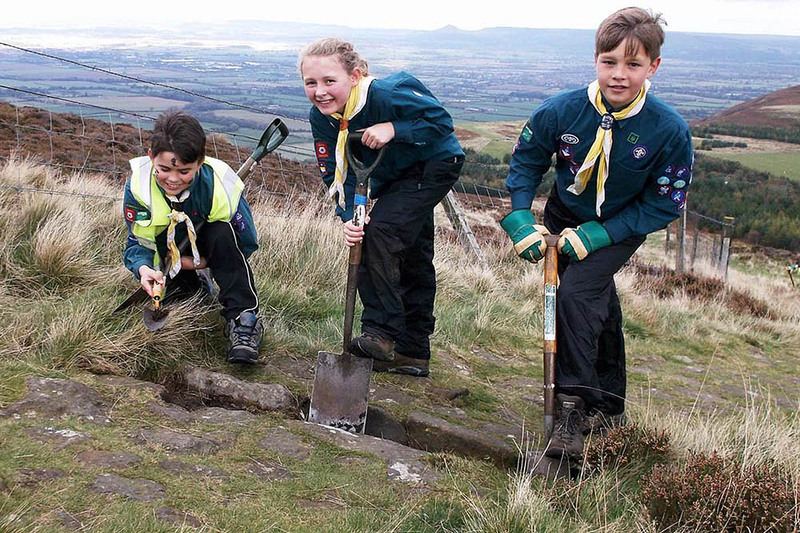 Groups who have already adopted a section include the 1st Marston Moor Scouts from Tockwith near York, who are now in their second year of patrolling a stretch of the trail between Sutton Bank and Sneck Yate. 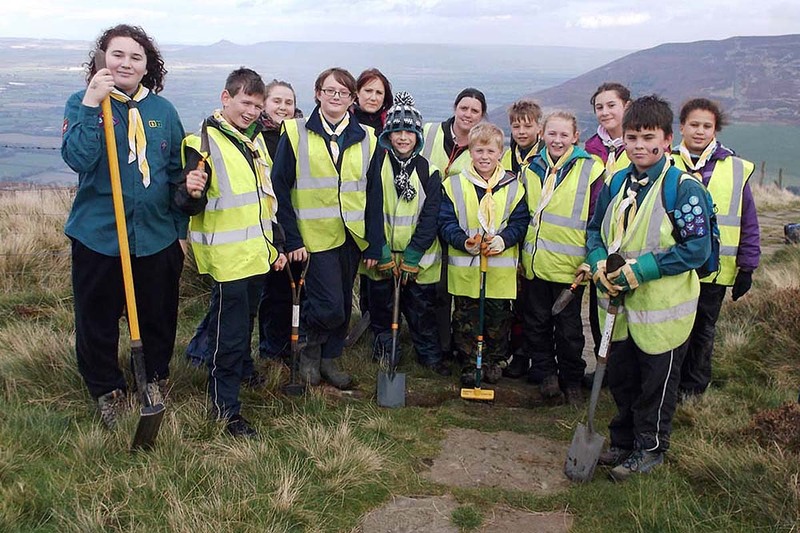 Scout leader Andrea Cayton said: “Adopting a section of the Cleveland Way has been a fantastic opportunity for the Scouts. It has provided so many opportunities for them to discover how great the outdoors is. Tammy Andrews, the North York Moors family and youth volunteers co-ordinator said: “Many people who have already adopted a section of the trail are getting great satisfaction and pride out of protecting an area they love. “Any help we can get to protect such a prized visitor asset which attracts more than 350,000 visits each year, will be fantastic. There are a limited number of sections so we’re encouraging people to register their interest. Anyone interested in adopting a section of the route should contact Ms Andrews by email or ring her on 01439 772700.